Pro14: Who's in? How will conferences work? What about derby matches? So the Pro12 will become the Pro14 with the addition of South African sides Southern Kings and Cheetahs from next month. It is the latest change to a tournament which has seen many amendments since it started life as the Celtic League back in 2001. Back then there were 15 teams competing and it rose as high as 16 before the creation of the Welsh regions in 2003-04. It has been as low as 10 teams between 2007 and 2010 when two Italian teams were introduced. So what can we expect in 2017-18? Who are the two new teams? They are the Southern Kings and the Cheetahs, who have both lost their Super Rugby status. The Southern Kings are based in Port Elizabeth and play at the Nelson Mandela Bay Stadium, which was built for the 2010 Fifa World Cup. Who are Cheetahs and Southern Kings? Cheetahs are based at the Free State Stadium in Bloemfontein, which has a capacity of 48,000. The Cheetahs and Kings will play their home games in South Africa. They will play only on Saturday at home, and there will be five travel-free days before matches. The South Africans have committed to a six-season deal and will deliver about £6m per season to the new league, mostly through their domestic television rights. It is a 50% increase on what the Pro12 currently makes from TV rights. The existing 12 teams will receive £500,000 more which will help cover travel costs. 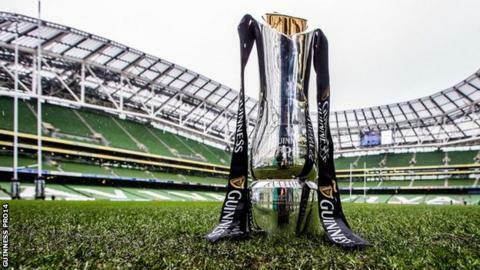 The teams will be split into two seven-team conferences - two Irish, two Welsh and one each from Scotland, Italy and South Africa. The teams in each conferences will play each other home and away. All teams from conference A play all teams from conference B once. That's another seven games, taking the total to 19. Additionally, each club would also play derby fixtures against teams from the same nation but in different conferences, providing a total of 21 league games. That keeps the six derby matches for Welsh regions and Irish provinces and will require Edinburgh and Glasgow, Zebre and Treviso and the Kings and Cheetahs to face each other three times in the regular season. The Welsh showcase Judgement Day - which sees two derbies played back-to-back at Cardiff's Principality Stadium - is set to continue. The fixtures have not yet been released with the season set to start on the first weekend of September. The first 13 rounds of fixtures through to January will be released next week. Who are in the Conferences? Conference A: Ospreys, Cardiff Blues, Munster, Connacht, Glasgow, Zebre, Cheetahs. Conference B: Scarlets, Dragons, Leinster, Ulster, Edinburgh, Treviso, Southern Kings. The conferences were based on the standings from last season's Pro12 table, and they will be reset each season based upon rankings from the previous campaign. How will they decide the winners? A play-off system. The top side from each conference will advance to the semi-finals and will have home advantage. Teams placed second and third in each conference play each other to determine the other two semi-finalists. The teams ranked secons in each conference will have home advantage. The play-offs will work over a three-week period after the regular season has been completed. The two South African sides are not eligible for the Champions Cup at the moment. The top three non-South African clubs from each conference will qualify for the Champions Cup, while the non-South African team with the highest points total outside of those six teams across both conferences will claim the final Champions Cup place. The other five European sides will go into the Challenge Cup. Read more on Pro14 rugby: Who are the Cheetahs and Southern Kings?